President Recep Tayyip Erdogan says Turkish troops and their militant allies have entered the Syrian city of Afrin and taken control of its center after Kurdish militia pulled out. “Units of the Free Syrian Army, which are backed by Turkish armed forces, took control of the center of Afrin this morning at 8:30 am (0530 GMT),” Erdogan said Sunday. A spokesman for the so-called Free Syrian Army (FSA) militants said they entered Afrin shortly before dawn, from the north, east and west of the town, and did not encounter any resistance. The so-called Syrian Observatory for Human Rights (SOHR), however, said fighting was ongoing inside the city, where Turkish forces and allied militants have seized some neighborhoods. The neighborhoods of Ashrafieh and Jamiliyyeh are allegedly now under the control Turkish troops. Erdogan said the center of Afrin was “entirely under control” and Turkish flags had been raised in the northern Syrian town. An FSA spokesman said the militants were combing the streets and the houses after militants of the Kurdish People’s Protection Units (YPG) pulled out. According to SOHR, over 280 civilians have been killed since the Turkish offensive began on January 20. 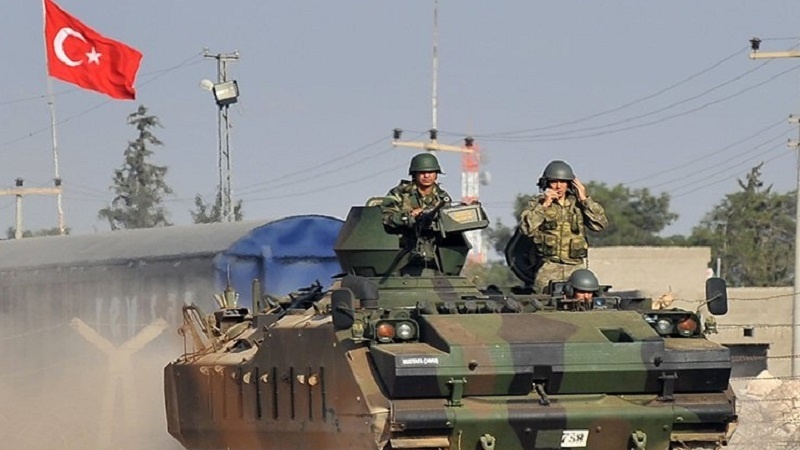 Ankara launched the operation after the United States said it sought to create a 30,000-strong force near the Turkish border in Syria with the help of the so-called Syrian Democratic Forces (SDF) militant group which is mainly comprised of YPG fighters. Turkey has threatened to expand its operation as far as the nearby city of Manbij, where American forces are stationed. Turkish Foreign Minister Mevlut Cavusoglu, however, said Tuesday that Ankara and Washington were to oversee the withdrawal of the Kurdish militants from the city.